So much is happening all around us in nature this month, insects abound, blossoms and wild flowers are everywhere, and a soft rain that makes everything green and fresh, and brings out the tender young shoots of trees and shrubs, falls with regular intervals on the slightly warmed soil, it is a delightful time. I’ve seen quite a few Bumblebees, a reassuring sight – hoping for good pollination. 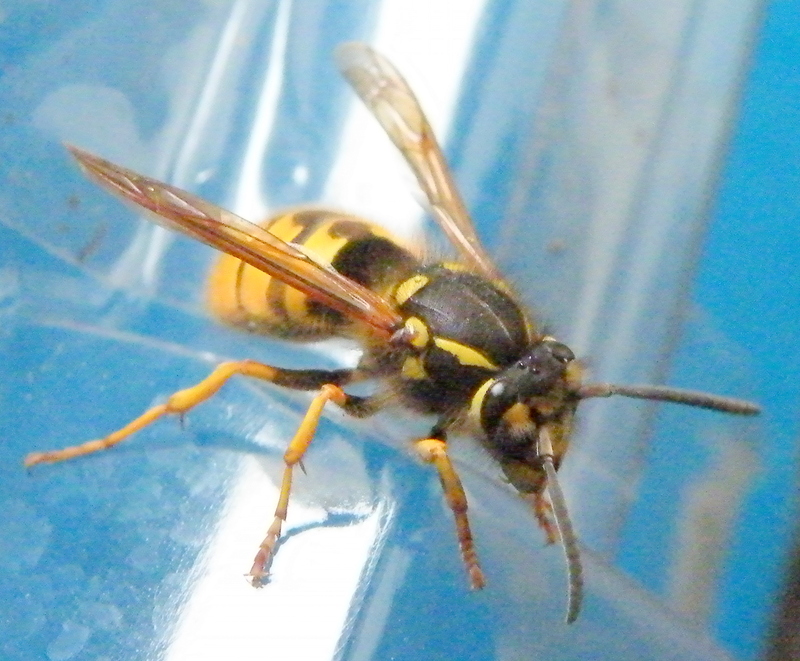 Then I came across this large Wasp, my first this spring, I could not resist taking a series of photos. The Wasp itself became irritated when I disturbed it and went standing high on it’s little legs, it’s wings flapping vigorously. Along the hedgerows Foxgloves are already starting to come into bloom. 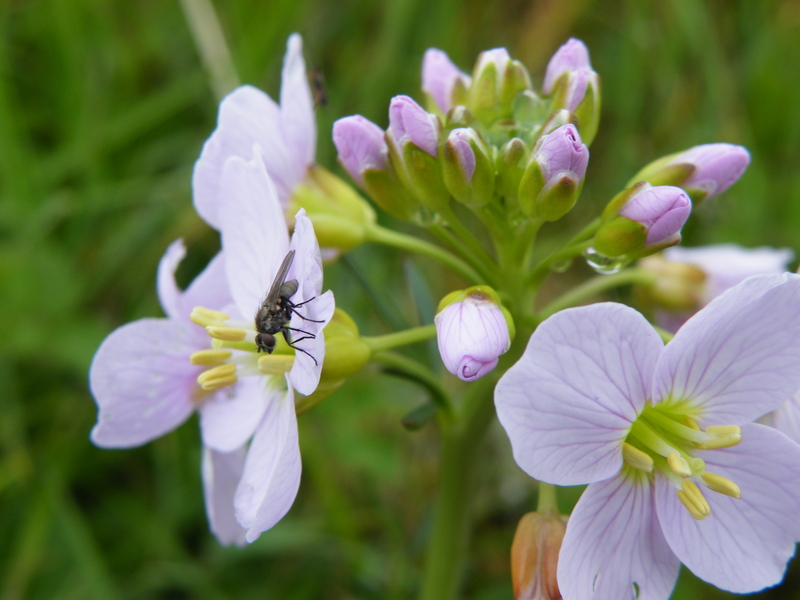 The meadow flowers like Buttercups, Daisies, Speedwells, Dandelions, and the Cuckoo pints are found in abundance. 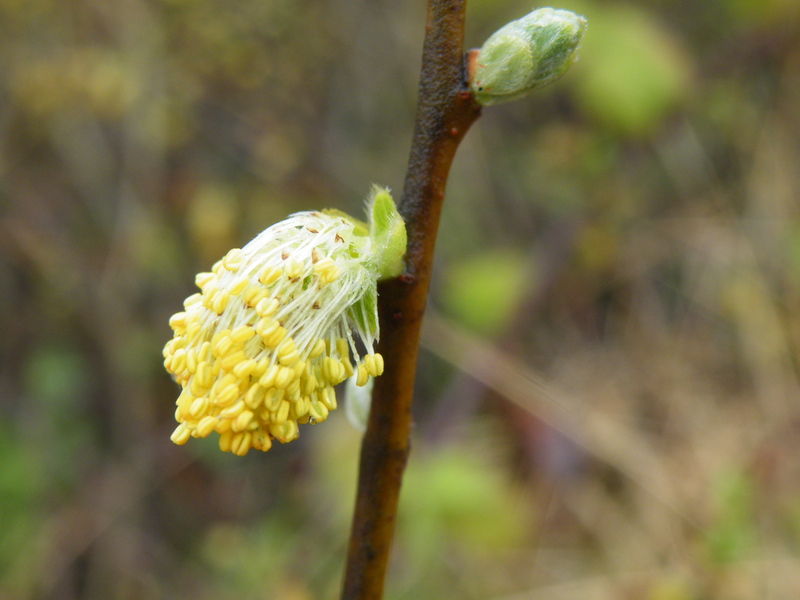 The Willow Catkins, the Cherry- and Apple tree blossoms are out in full glory, a wonderful sight to behold. 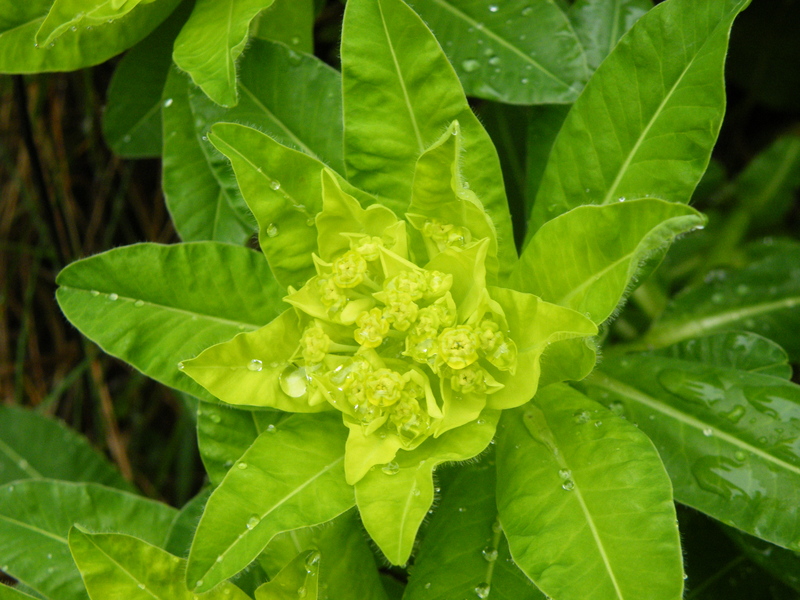 Along the hedgerows are seen the lovely bunches of green flowers, they are called Sun Spurges and they grow in abundance around here, mainly in sheltered hedgerows, and not too high above sea level. 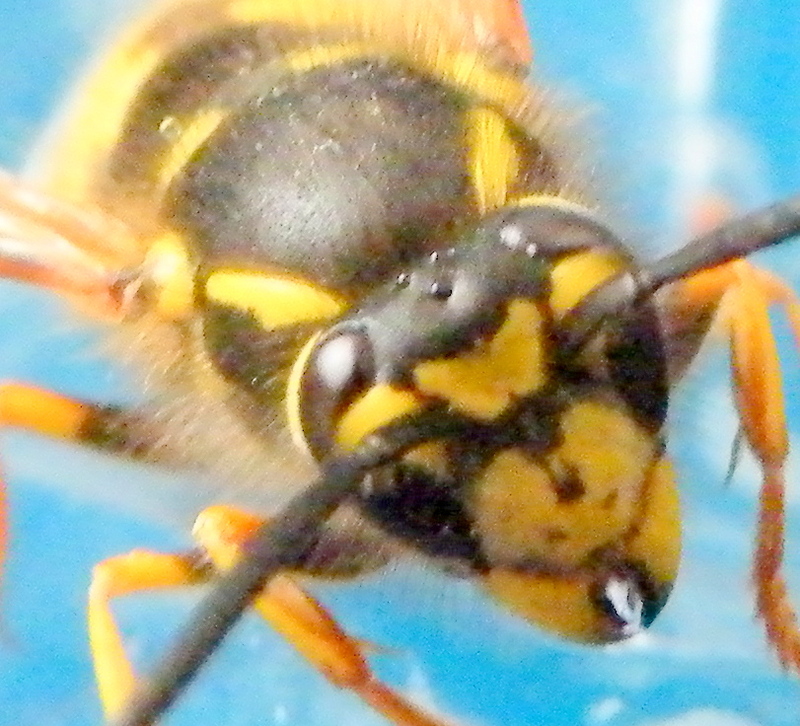 Above: First Wasp of the summer. Great shots of the insects. 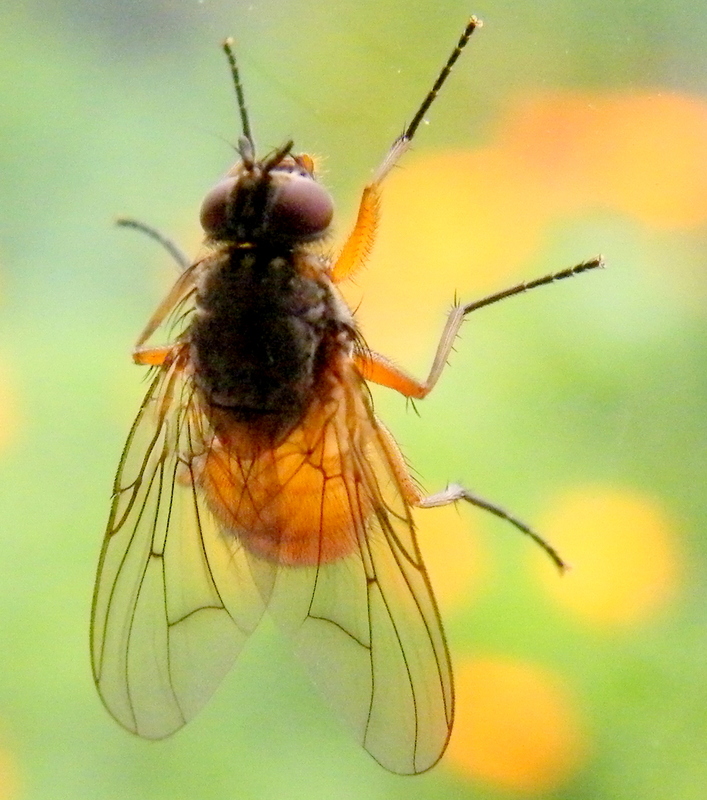 Love the way you have taken the house fly – makes them look almost appealing! You are ahead of us – saw foxgloves yesterday just beginning to extend themselves but no signs of flower spikes yet. All beautiful, including the insects. The detail is amazing. 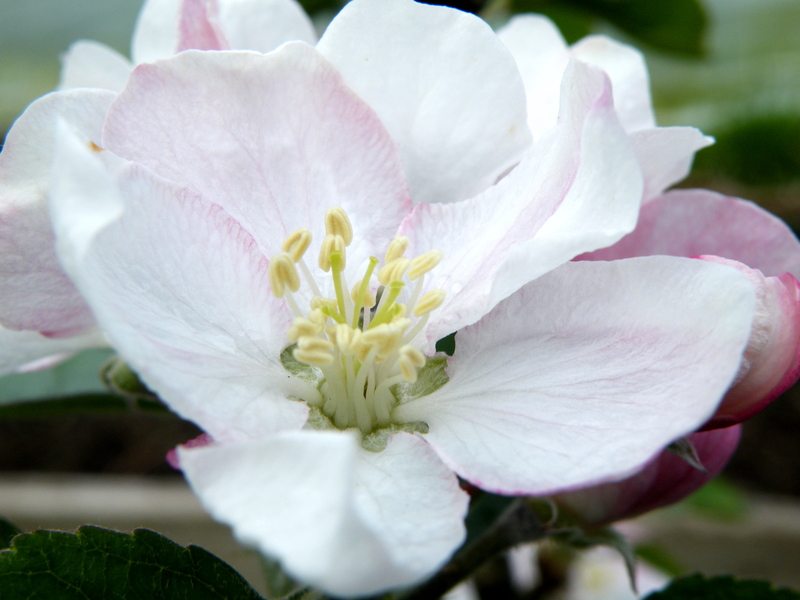 Your apple blossom with the delicate pink veining and the center is one of my all time favorites. Thank you Cynthia, glad you enjoyed.